Tren 100® is a powerful fast-acting formulation and tops the list of the most potent muscle building anabolic orals we’ve ever developed. This well-known product will help you achieve explosive power and strength while helping create the perfect anabolic environment for muscle growth. The unique design allows users to help maintain that hard and vascular look, but also aiding in the reduction of body fat. Ideal for the summer look or elite level athlete after the edge Tren 100® has the answers. 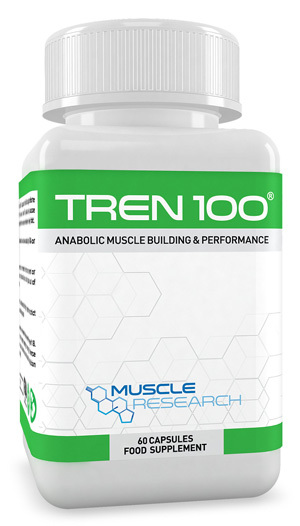 One of our most popular products, Tren 100® gives the dry lean appearance, while causing muscle hardness and boosting muscle pumps during exercise. Suggestions: Tren 100® is often combined with Test 500®, D-Bol® and Deca 300® in our very popular Mass Stack. 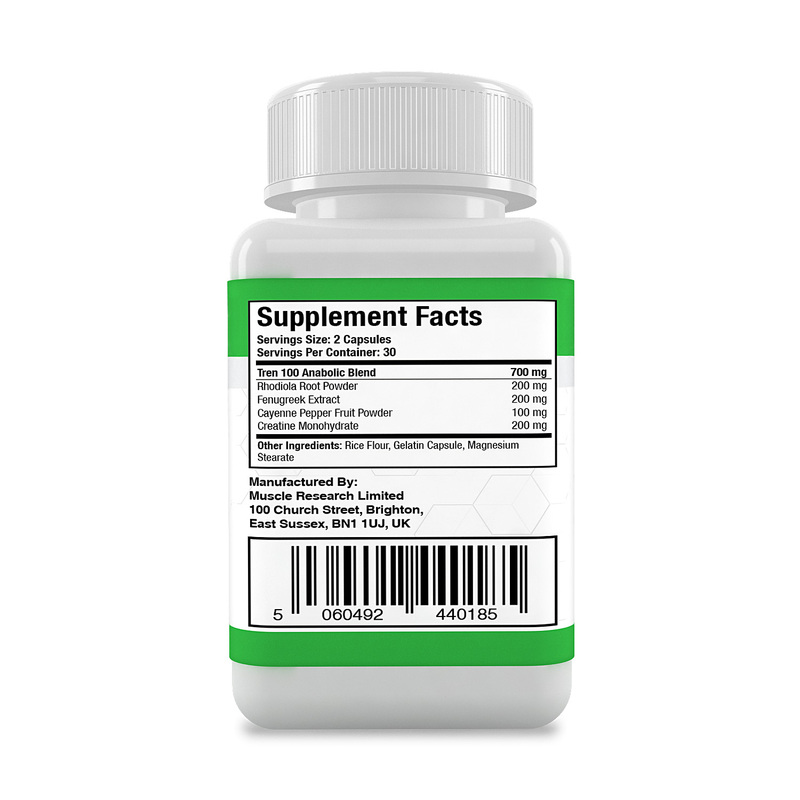 Directions For Use: This product contains 60 capsules and is designed to be a 30-day cycle. Take 1 capsule 2 times daily with 8 ounces of water. Doses should be spaced AM and PM. Ingredients: 200mg Rhodiola Root Powder, 200mg Fenugreek Extract, 200mg Creatine Monohydrate, 100mg Cayenne Pepper Fruit Powder.